Central America includes seven countries running between Mexico and South America. They include Belize, Guatemala, El Salvador, Honduras, Nicaragua, Costa Rica and Panama. So far Costa Rica is my favourite with its incredible national parks, a dazzling array of birds, stunning beaches, volcanoes and so much pristine nature. Belize is great if you’re a diver – but watch out for biting insects on kayaking trips. 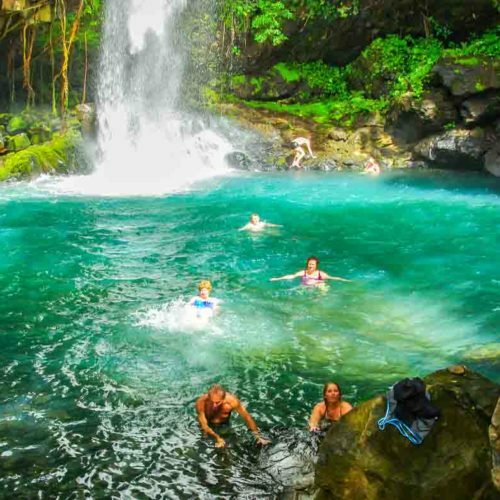 Guatemala is a great destination for volcano climbing and mountain biking while surfers will want to hit the beaches of Nicaragua. I’ll tell you more about Panama after a trip in November. As for the Caribbean – there are 26 sovereign countries of which I’ve been to four. Think beaches, kayaking and tropical drinks.